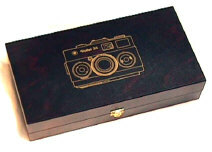 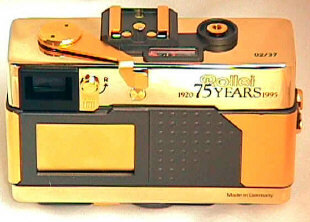 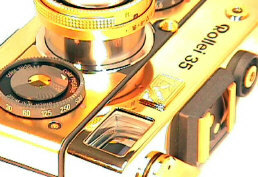 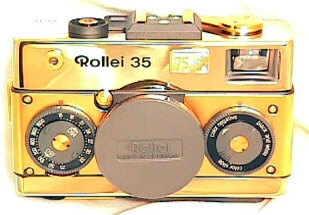 This 1995 Gold Rollei 35 commemorative was made for Rollei's 75th Anniversary. 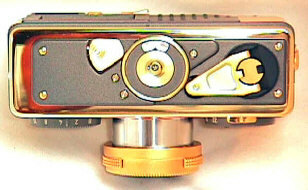 Total production listed at 900. 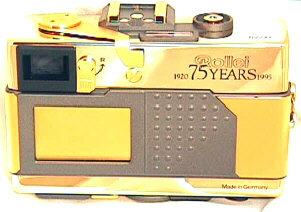 It came with its own special wooden presentation case, tan carrying case, gold tipped carrying strap, matching grey 20REB Rollei flash, grey lens cap, Certificate of Authenticity, warranty card, and Rollei Classic instruction book.